Child cancer is the most curable form of cancer. Despite good medical facilities, 4 out of 10 children from low income families don't complete their treatment due to their families being overwhelmed by the financial and emotional burden. 90% of these abandonments happen in the first 4 weeks of the treatment before the definitive funding comes in. 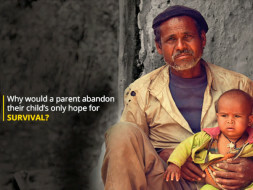 An Emergency Fund for Child Cancer Will Reduce the Abandonment Rates. Today, that idea is one step closer to reality. 1SmallStep Foundation is creating a corpus of funds to treat children in emergencies. The Emergency Fund will be used as an interim fund in the initial weeks of treatment to support low income families in their most vulnerable times hence reducing the abandonment rates. How Can You Help Reduce These Abandonment Rates? 100% of your funds to double your impact. 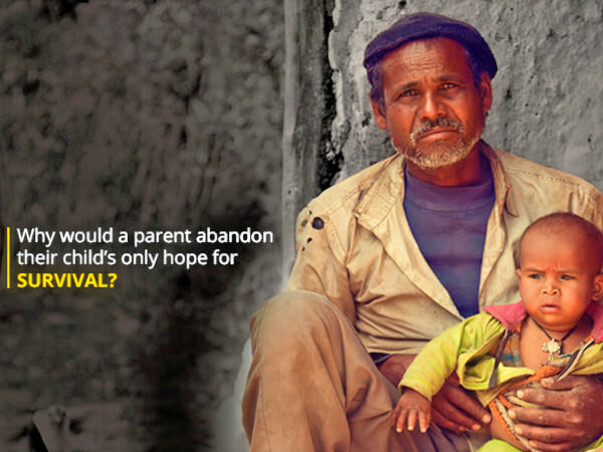 Let cancer not be a reason why a child gets abandoned in India. All donations are tax deductible. Your 80G tax exemption certificate will be issued by our associate partners Rotary Club of Mumbai Queens Necklace. Thank you so much for your love, support and contribution for this fundraiser. 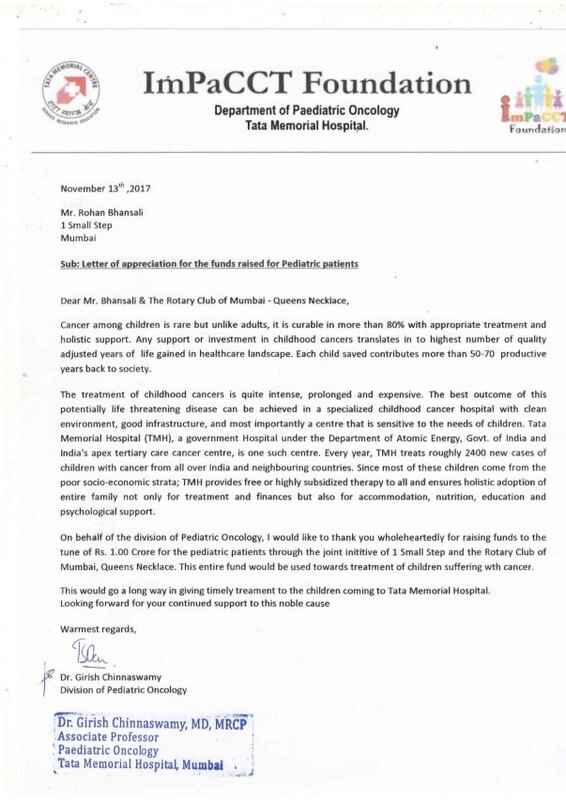 Your contribution has successfully helped us create the emergency fund for kids fighting cancer. 1000 kids and counting have been benefited from your overwhelming support. Here is small video thanking you all.